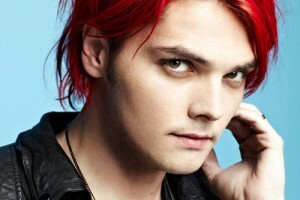 Born in April of 1977, Gerard Way of My Chemical Romance is not just a musician. He was raised in Belleville New Jersey with his brother MIkey. His first introduction with music came when he began singing publicly in the fourth grade. He played the role of Peter Pan in a class production, but his maternal grandmother brought a lot of influence to his life. She taught Way how to sing, paint, and perform with gusto from an early age. Meanwhile, the musical stylings of Bon Jovi were having an influence on young Gerard. Way’s original ambitions were in the comics industry. He had an early interest in art, and attended the School of Visual Arts in New York City. He even graduated with a bachelor’s degree in 1999. He found a job with Cartoon Network, but witnessed the attacks on September 11th first hand. That was his wakeup call. He left the world of art to pursue music. My Chemical Romance was Way’s opus. He used the band to help him work through personal issues, often writing deep lyrics and heavy songs. Though the band broke up in 2013, Way has managed to craft a successful solo career in both comics and music since.